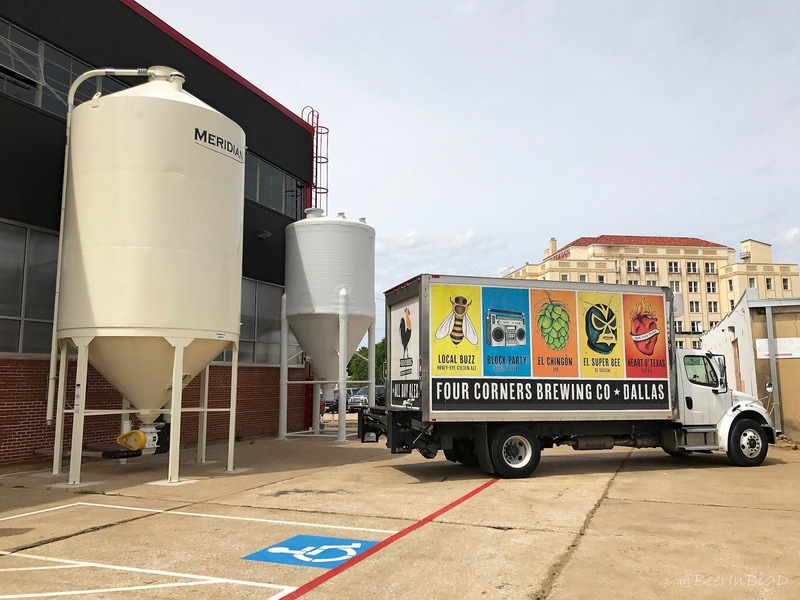 Looking to give back and make a difference in the lives of veterans, Texas Ale Project (TAP) of Dallas has created a special beer to benefit Honor Courage Commitment, Inc. (HCC). It's an organization that provides education and training to veteran entrepreneurs. 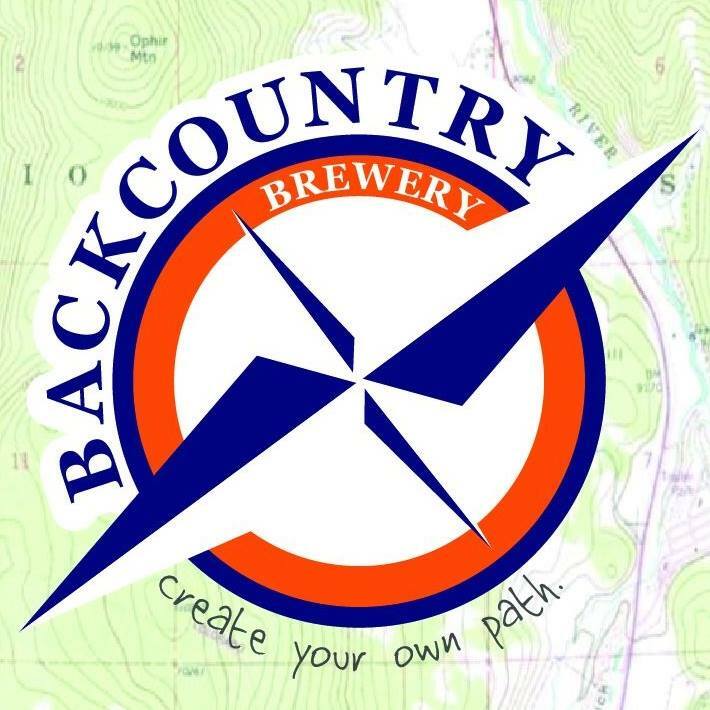 The beer, dubbed Good to Go Pale Ale (5.3% ABV, 32 IBU), came to be after TAP founders Kat and Brent Thompson met with the veterans of HCC. Entrepreneurs and members of a military family themselves, the Thompsons came away from that meeting excited about the opportunity to help veterans start their own businesses, while building successful lives back home. 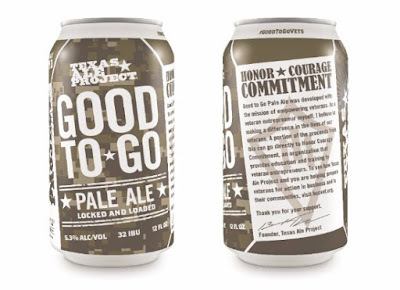 To that end, Good to Go was developed with the mission of empowering veterans, with a portion of the proceeds from its sales to be donated to HCC. For more on the work being done by Honor Courage Commitment, Inc., visit HCC's website at hccvet.org. In addition, veterans interested in pursuing a career in the brewing industry may send their resume and cover letter for consideration to info@texasaleproject.com. 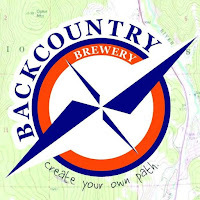 As for Good to Go, the beer will be sold on draft and in six-packs of 12-oz cans. Look for it wherever TAP beers are sold. Summer seems to finally have arrived in North Texas, and with it comes two seasonal releases from Lakewood Brewing Co. 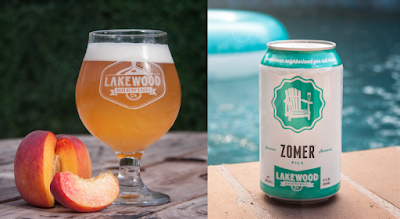 The first of these offers a new spin on an old favorite, as Zomer Pils (draft, cans) is now dry-hopped with Lemondrop and noble hops to give the beer a touch of citrus flavor, along with a grassy element. 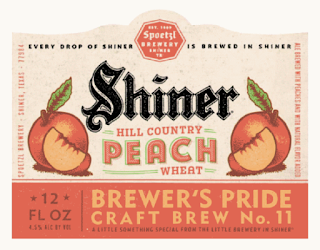 With the changes, consumers should expect a beer that maintains its thirst quenching quality, but now with an added flair. "We're excited to re-release Zomer with this little hoppy twist," says Wim Bens, founder and president of the brewery. "We honestly didn't think this beer could get any more refreshing, but we proved ourselves wrong with this brew." As for the other summertime beer, Artsy Tartsy (draft only) has been tapped for wide release after first being a taproom/special event-only beer. This time, though, Lakewood has added peaches in order to take the beer to another level. "Artsy Tartsy is just as refreshing, with a slightly fruitier spin on it," says Bens. 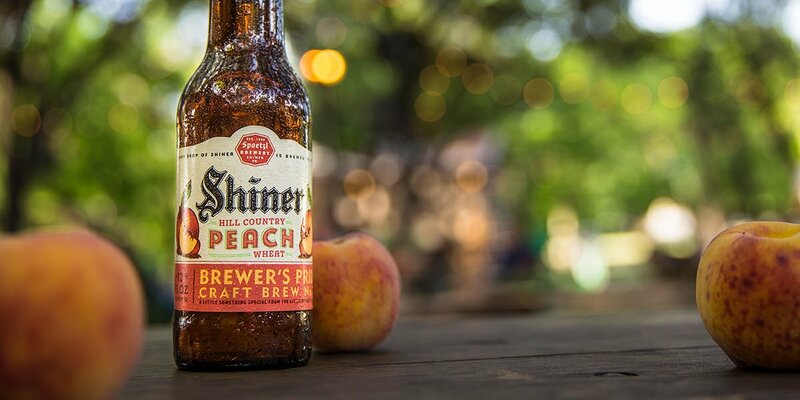 "We chose a Berliner weisse since the style pairs so well with fruit, and nothing screams summer quite like fresh peaches. The added tartness, low ABV and bitterness make the beer highly drinkable." 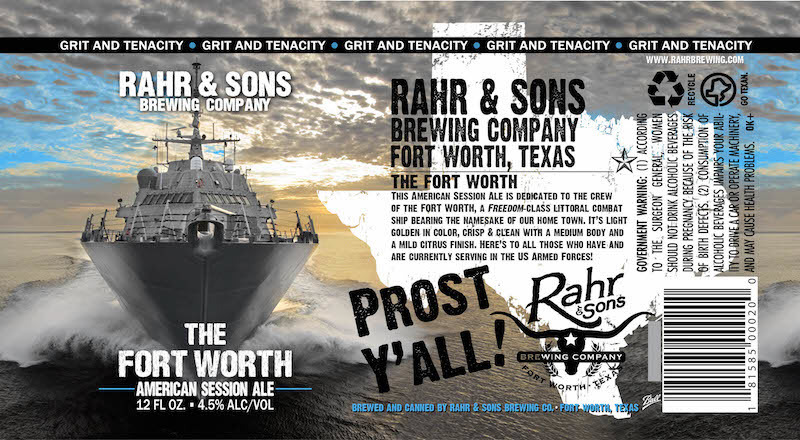 Look for both beers to be available throughout DFW beginning this week, with shipments to other markets happening in the coming weeks. 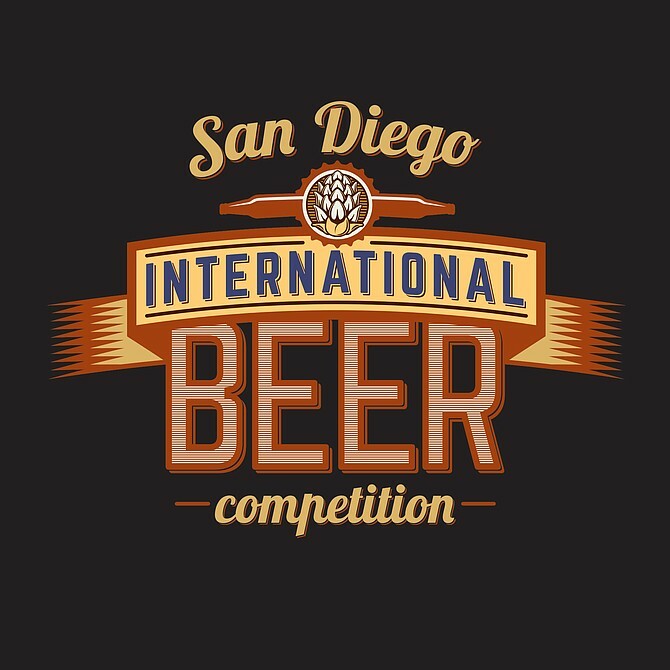 Two local breweries continue to impress the judges in California-based competitions, as both and Rahr & Sons Brewing Co. have followed up recent wins in Los Angeles with additional medals awarded at the 2017 San Diego International Beer Competition. 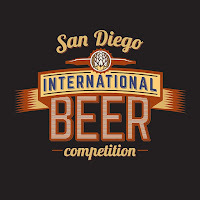 In existence since 2007, the San Diego International Beer Competition honors top breweries from around the world through the judging of styles as defined by the Beer Judge Certification Program (BJCP). Entries are evaluated by BJCP-certified judges and select industry professionals, with this year's event recognizing standouts in 57 different style categories. A list of medals awarded to the aforementioned breweries from North Texas is given below, with a complete list of winners to be found by clicking here. Gold for Goatman in the American-Style India Black Ale category. 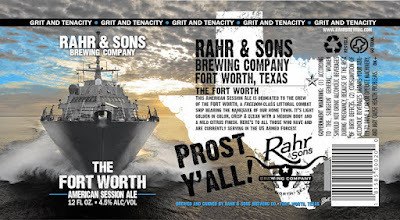 Silver for Rahr's Blonde in the European Lager category. Bronze for Iron Thistle in the Scottish-Style Ale category. After first appearing on the scene last summer as a draft-only offering, Full-Tang IPA from Revolver Brewing is out this week for the first time in bottles, and it's likely already resting on a retail shelf near you. Full-Tang (7.2% ABV, 50 IBU) is an IPA that's brewed with tangerine peel, along with four different hop varieties (Saphir, Mandarina, Apollo and Citra), to fulfill the brewery's "tangerine-fueled" quest to design a stellar IPA. In fact, two of the hop varieties used - Mandarina and Saphir - are noted for their tangerine qualities, with Mandarina sometimes being described as a "tangerine machine." Brought together with flavors imparted by the addition of Apollo and Citra hops, the resulting brew features a mix of tropical and citrus fruit flavors backed by an engaging floral essence. Packaged in six-packs of 12-ounce bottles, Full-Tang IPA's official release date was May 8, with availability forecasted to last through July. After that, expect to see Redshift Spiced Red Ale to land on local shelves, with bottles of that beer slated to hit the market during the first week of August. For more on that and other products to come later this year, check out Revolver's complete 2017 release schedule on the brewery's website.